Are you making plans to attend a post-secondary education institution? Do you need help finding financial support through scholarships, bursaries, grants or tuition waiver programs? We can help! What makes scholarships, grants and bursaries different from other sources of funding? Scholarships, grants and bursaries are types of financial assistance that you don’t have to pay back. Scholarships are typically based on merit, while grants and bursaries usually take financial need into consideration as well. Some scholarships, grants and bursaries are also based on academic achievement, athletic skill, extra-curricular involvement, or special abilities. The federal, provincial and territorial governments, individual schools, and some businesses and charitable foundations also give out scholarships, grants and bursaries. Check with your school to find out what you could be eligible for. At YICC, we know that the process of finding and applying for academic funding can be a big challenge. So, we do our best to find resources that are specific to youth in/from care to help you along the process. 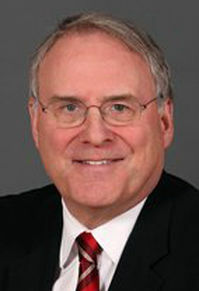 This scholarship is named after the man who got it started and who is determined to keep it going: Ken Dryden, author, consultant on education, child and youth issues, lawyer, former NHL hockey star, and past President of the Toronto Maple Leafs hockey club. As a young person in/from care, all you need do is apply. As a child welfare worker, foster parent or friend, please tell any eligible young person of this scholarship opportunity, and offer your help.